Tyler Martinolich has gone from interim to permanent after he was named the new film commissioner for the Tampa Hillsborough Film and Digital Media Commission. During his tenure as interim, Tyler Martinolich adjusted the agency’s direction to more commercial productions. 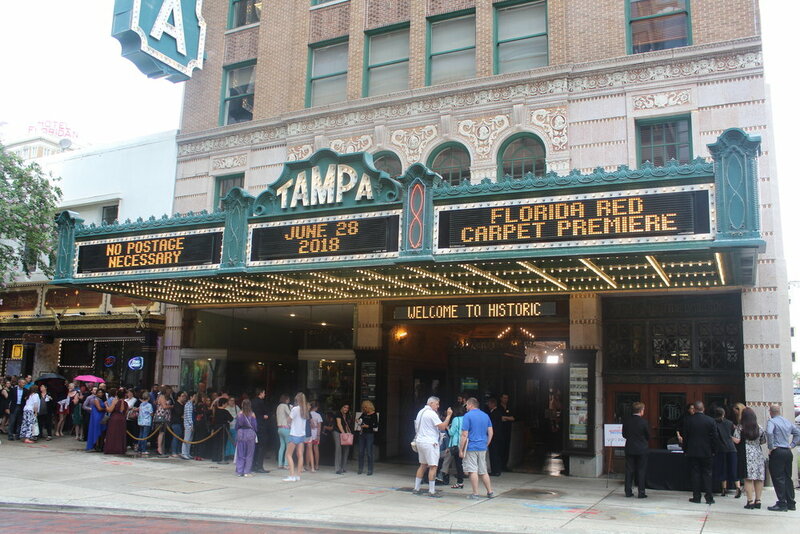 As a result, television commercials have become a major part of Film Tampa Bay’s work, bringing spots for NAPA Auto Parts, The Home Depot and Yuengling Brewing Co. to Hillsborough County. “The fact that The Home Depot is filming commercials in Tampa Bay shows clearly that Tampa and Hillsborough County offer skilled local crews and low production costs — including a regulatory environment that’s welcoming to projects,” Martinolich said in a previous interview with the Tampa Bay Business Journal. Kestum Bilt is a full service Tampa Bay production company with talented minds dedicated to creating campaigns to help your business propel forward. For more information visit www.kestumbilt.com. I write this month’s letter as I look out my 29th story window overlooking the bay. A thunderstorm, ubiquitous with Florida summers, is gathering in the distance. Summer is typically a time to catch up on paperwork, and finding time to soak in as much air conditioning as possible. 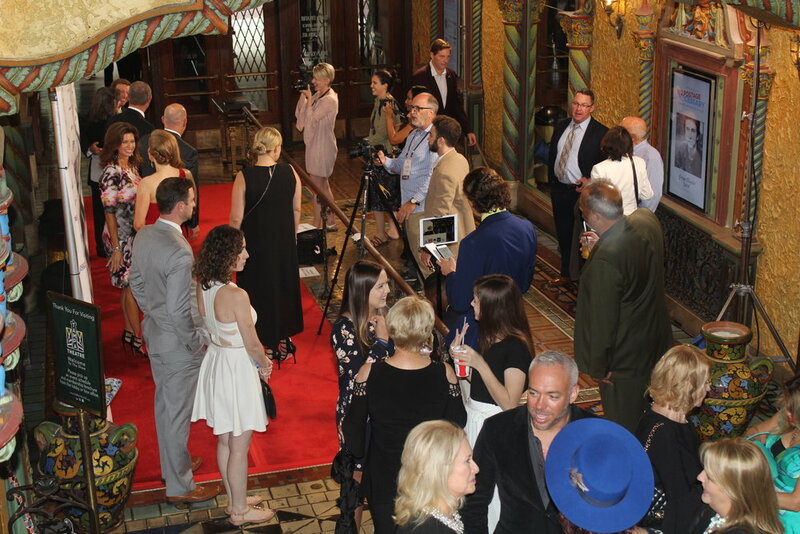 Summer isn't a booming time for productions in the Tampa Bay area, and yet this year... it is. Commercial productions both large and small have been flocking to this region, features among them. Tampa Bay is or will be playing host in whole or in part to no less than 7 features over the next few months. Despite the heat, despite the afternoon rain, film productions are thriving. This past week our office played chauffeur and tour guide as we familiarized Tampa to a notable client expanding into the area. Meeting with over a dozen stakeholders and government officials, from restauranteurs to mayors, we were searching to define the fabric of Tampa Bay. A recurring narrative built over the week. The bay area is midwestern hospitality, surrounding two shining cities on the water. We are Urban lifestyle with a small town feel. We have a rich history, mixed with cutting-edge technology, and one of the freshest art scenes in the state. We are among the fastest growing metro areas in the country. For those living within the bay area, there is so much to be proud of. We are a region that is just scratching the surface of possibilities and progress. So while I sit here watching the thunderstorm gather, I know sunshine is right behind it. Tampa Bay is a great place to live, work, and of course... film. 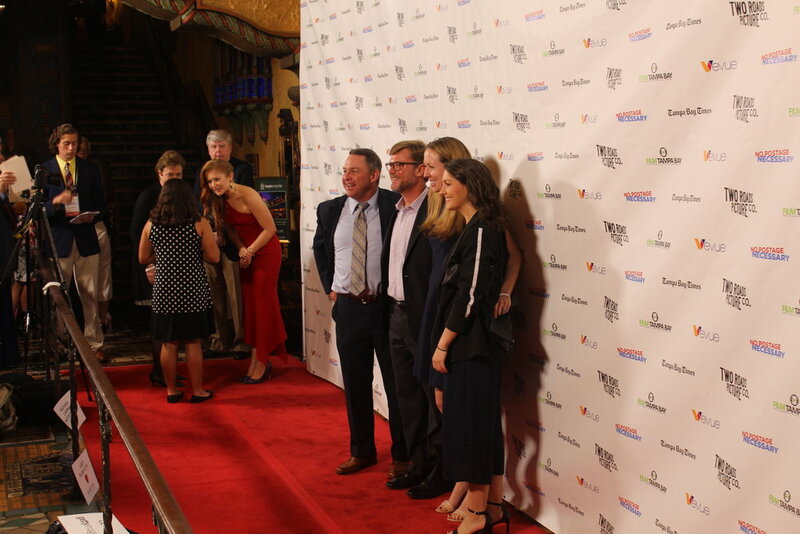 Folks from Plant City and Tampa gathered for the Florida premiere of No Postage Necessary on Thursday, June 28 at Tampa Theatre. The crypto-currency theme of the rom-com was brought to life as guests and movie goers were able to earn coins for reviewing the film! No Postage Necessary was shot entirely in Plant City, and many of the cast, crew, and extras were in attendance. When gorgeous shots of Plant City gems appeared on screen (like "I like Pig Butts and I cannot lie" t-shirt made famous to locals by Johnson's BBQ), there was a collective excitement and cheers from the crowd. This film will be the first to be released via the blockchain, streaming and on demand July 10. For more information, follow @NoPostageFilm or visit their sitewww.NoPostageFilm.com. For more information about the blockchain technology, read the Variety article HERE.